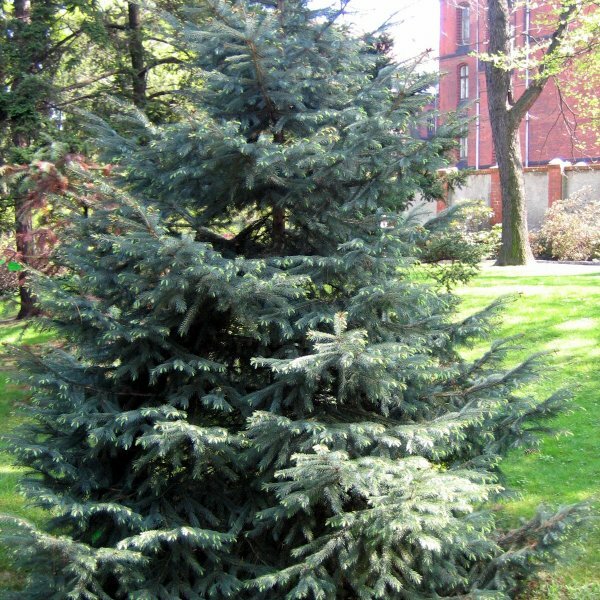 At first glance, you may think you've seen a svelt Colorado blue spruce. Engelmann's spruce also has attractive steel blue to blue-green needles, but becomes a more slender, spire-like tree when mature. 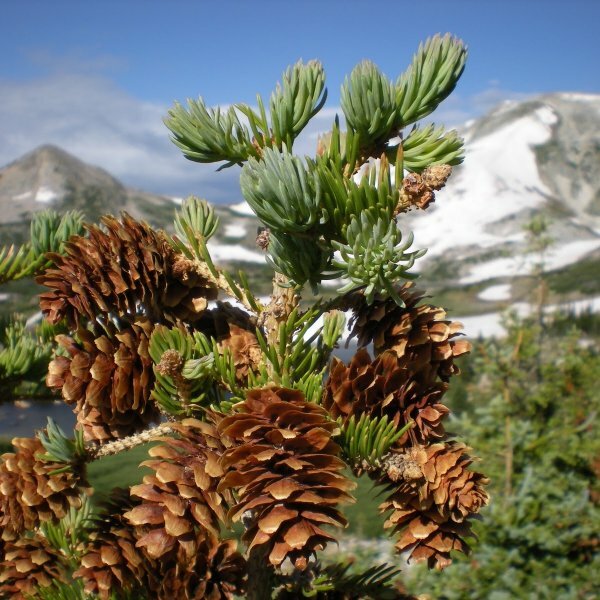 This evergreen conifer is native to a large expanse of the southern Canadian Rockies as well as the American Rocky Mountains and surrounding ranges at high elevations. The bark is reddish brown and scaly. The branches are rather short but persist on the lowest parts of the trunk, often hiding the trunk base as the tree becomes quite tall and aged. The needles are four-sided but flexible. They are arranged radially around the twigs, but angle slightly forward. 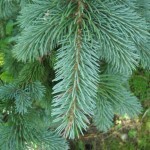 Leaves range in color from pale steel blue to blue-green. 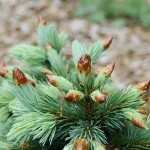 Male and female cones occur on separate boughs high in the tree in spring. Pollen is shed into the wind, reaching female cones that then ripen to bronze-brown cones that shed seeds.